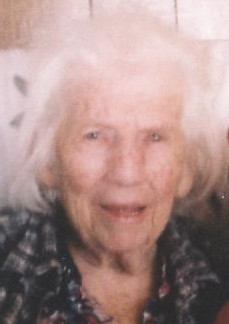 Ernestine May Wagner, age 92 of Amelia, went to be with the Lord on February 8, 2019. She is survived by her daughter Frances May Wagner Seal and son Carl William Wagner, Jr., both of Amelia; sister Betty Lloyd Slater of Lanexa, VA; brothers James Andrew Lloyd of Victoria and Dewy Eugene Lloyd of Clarksville; three grandchildren and five great-grandchildren. The family will receive friends on Tuesday February 12 from 6-8:00 p.m. at the Hillsman-Hix Funeral Home, 16409 Court St. in Amelia. A chapel service will be held at 1:00 p.m. on Wednesday February 13 at the funeral home, with burial to follow in Salem United Methodist Cemetery.